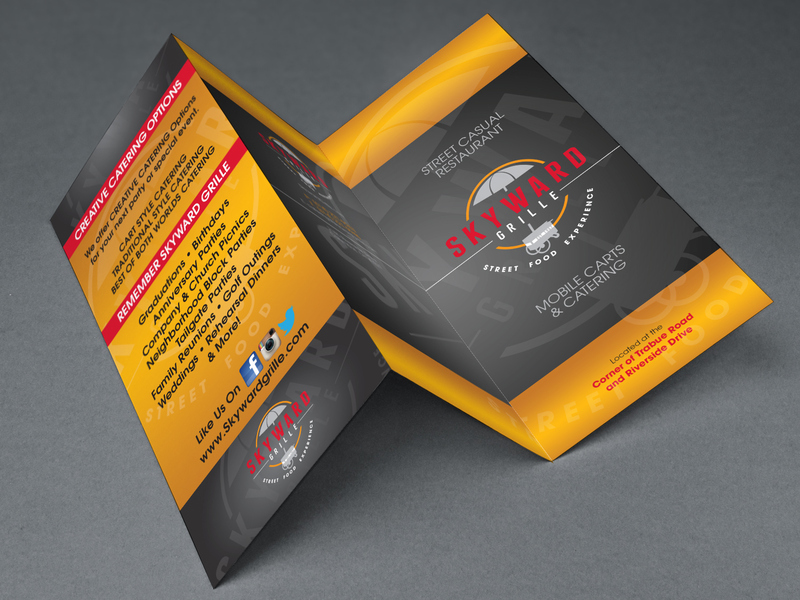 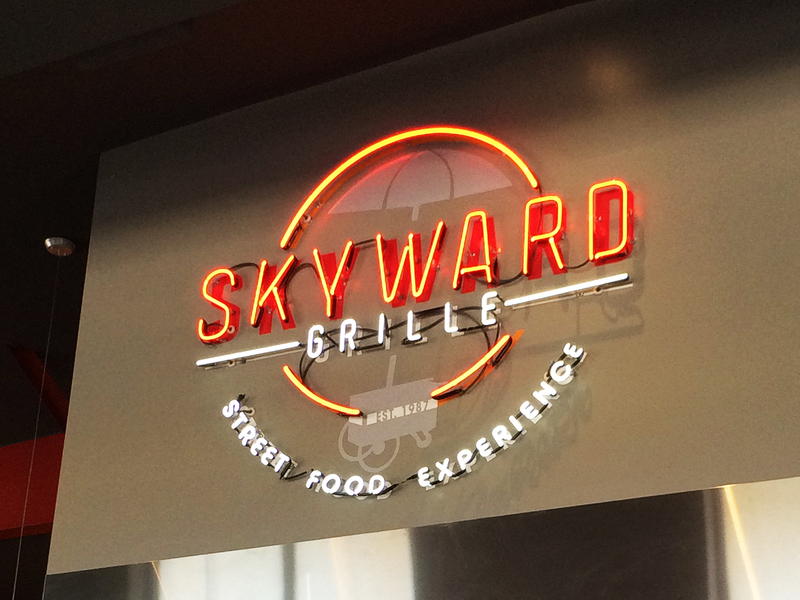 Skyward Grille started as street food vendors and reinvented their identity and built a restaurant dining environment. 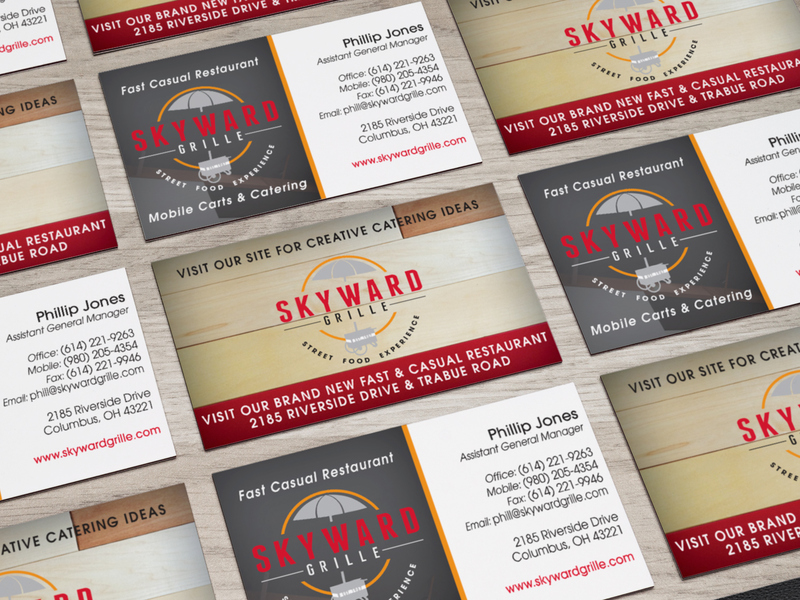  This logo was designed for use on menus, brochures, wall decals, neon lights, websites, exterior signage and much more in time for their grand opening date. 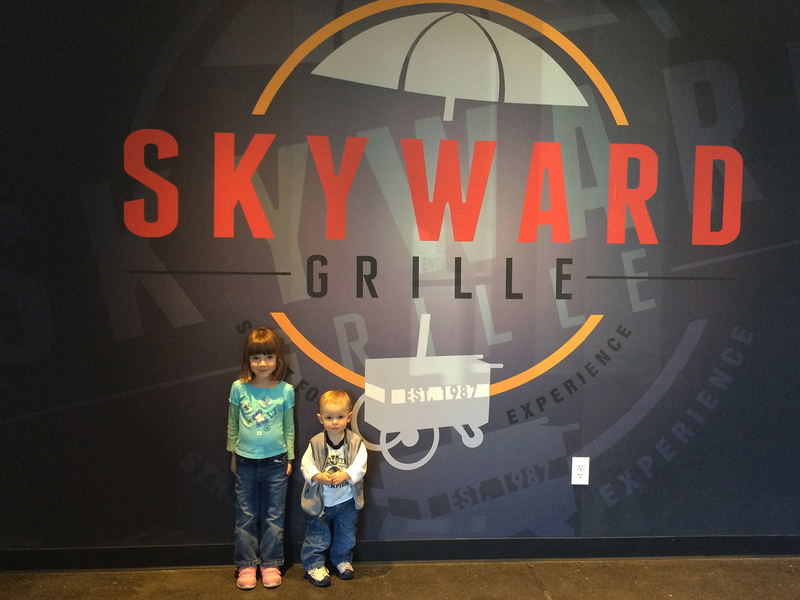 This job was made complete with a side order of their cinnamon sweet potato fries.